Heidelberg, September 6, 2017 – From October to December Young Innovations will be presenting its product range at ten European trade fairs. 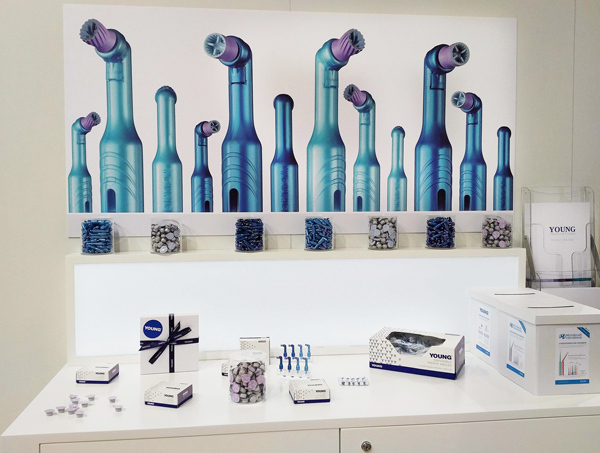 Visitors can look forward to new products and take part in a prize draw. Moreover, some of the company’s top sellers will be available on site and on the dental market at reduced prices. Special conditions apply to dental pastes and DPAs from the Young Dental and Zooby® series of prophys, as well as to DryTips® parotid patches, and Ultrabrush and TRU applicators from Microbrush®. At Fachdental in Stuttgart, Infodental in Frankfurt and AFD in Paris, Young Innovations will be on hand to present its solutions for restorative dentistry, such as the ContactPro® matrix system. Various disposable applicators from Microbrush® will also be presented. All are flexible and remain in the desired position without springing back. Non-absorbent fibers allow for excellent uptake and release of dental fluids, as well as their precise positioning and application. Young Dental’s assortment of prophys will also be shown. New polishing cups, disposable prophy angles, as well as pastes for professional tooth cleaning will be on display too. 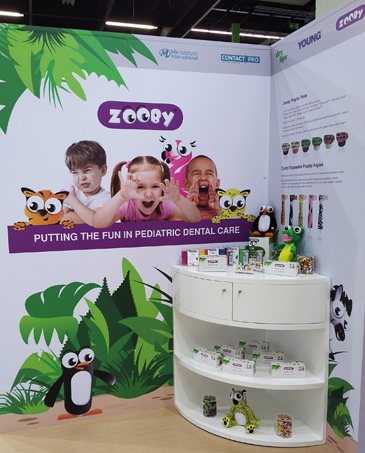 The Zooby® brand is the place to start for children. The colorful products are decorated with fun animal designs, thus ensuring a relaxed atmosphere. Reflective DryTips® from Microbrush® are a plus for every treatment. The parotid patches keep the teeth dry during treatment and are an ideal supplement to saliva ejectors and cotton-rolls. This is because the extremely absorbent pads are placed on the inside of the cheek right in front of the largest saliva gland. These Reflective Dry Tips have a silver film which generates greater brightness, important when working with a microscope, for example.